Before 2016, the term ‘Fake News’ wasn’t a household phrase. Fast forward a few years and the term dominates our headlines. The Internet has always been a tool to disseminate false information, but the practice has really come to light in recent years. 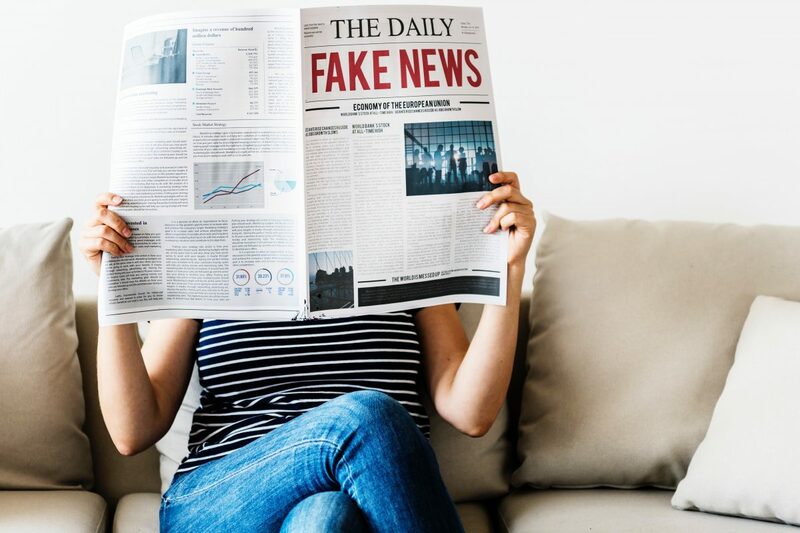 Misleading or fake news has become so common and so prevalent that it can be difficult to determine what is real and what is fake. Below is a list of tips and tools that can help you determine the real from the fake. With news sites popping up all over the place, checking the source can be a quick way to determine the legitimacy of the site. This is not to say that big sites like The New York Times, Washington Post, Fox, CNN and many more haven’t released improperly vetted or wrong information, but for the most part these sources are reputable. Doing a quick search of the site can often indicate if it has been flagged for releasing false information. Also, fake news sites won’t have a page for contacting them, which can be an indication of an illegitimate site. If you found the headline on social media like Facebook, check the comments section. If the article is fake or outrageous, other readers will indicate so in the comments. Look to see if there are a lot or only a few quotations in the article. This is especially important when reading articles on complex issues. Lack of quotations could be an indication of a lack of research. Lack of quotations could also indicate the piece is more opinion based. When looking at the information within the article, check to see if you can find it elsewhere. Articles that may be advocating for something in the scientific field, should have found their information from scientific sources. This information could be found in journals or databases, most of which can be easily found in a library. Unreliable sites will often try to mimic legitimate URLs and webpage designs. For example, there was a fake news site with the URL abcnews.com.co. At first glance, it looks like the real site address but if you look closely there is a ‘.co’ behind the ‘.com’. Scammers will also use this tactic when trying to scam people out of sensitive information. Always double check the URL if you question the legitimacy of any site. There are sites that are dedicated to fact checking news articles and releases from around the web. There are several good options out there: PolitiFact.com, Snopes.com, FactCheck.org, or the International Fact-Checking Network are some good ones. NewsGuard – NewsGuard is a browser plugin that is available for Chrome, Edge, Firefox, and Safari. The extension has a team behind it who analyzes over 2,000 information and news sites in the US. NewsGuard will rank each site based on 9 forms of criteria. This criteria is weighted and the site will be given a visual rating. For more information about NewsGuard, check out their information page. TrustedNews – TrustedNews is a browser extension only for Chrome, brought to you by the company behind the popular AdBlock Plus extension. It’s different from NewsGuard due to how it checks the accuracy of sites. It uses the MetaCert Protocol, which uses independent sources to measure the truthfulness and accuracy of the content. It also uses other fact checking websites to create its ratings for sites. TrustedNews will issue ratings based on the content, like if a site is biased or a headline is click bait. The extension also gives users the ability to leave feedback if they feel a rating is not accurate. Official Media Bias Fact Check Icon – The MBFC is another plugin available to Chrome and Firefox users. It rates news sites on one factor: political bias. The plugin rates sites with the following labels: Left Bias, Left Center Bias, Center (Least Bias), Right Center Bias, Right Bias, Pro Science, Conspiracy Pseudoscience and SatireQ (Questionable Sources). It is based on, but not affiliated with, MBFC News which is a site that ranks articles in the same fashion. If you found this article interesting or helpful, check out our posts!